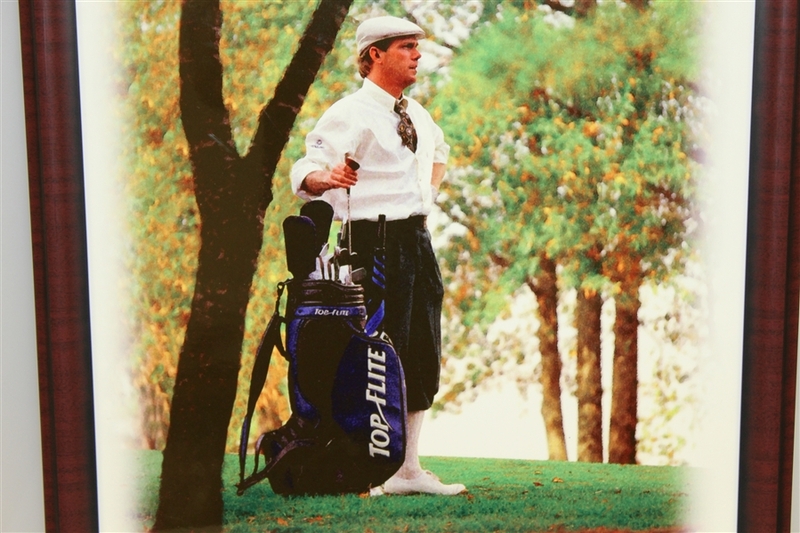 Payne Stewart was possibly one of the most popular golfers in the 1990's, in part due to his wardrobe of ivy caps and plus fours or knickerbockers, depicted nicely in this shot of Stewart hitting out of a sand trap. Stewart won the 1999 US Open, his 3rd Major, just 4 short months before his untimely death in a plane crash in South Dakota at the age of 42. 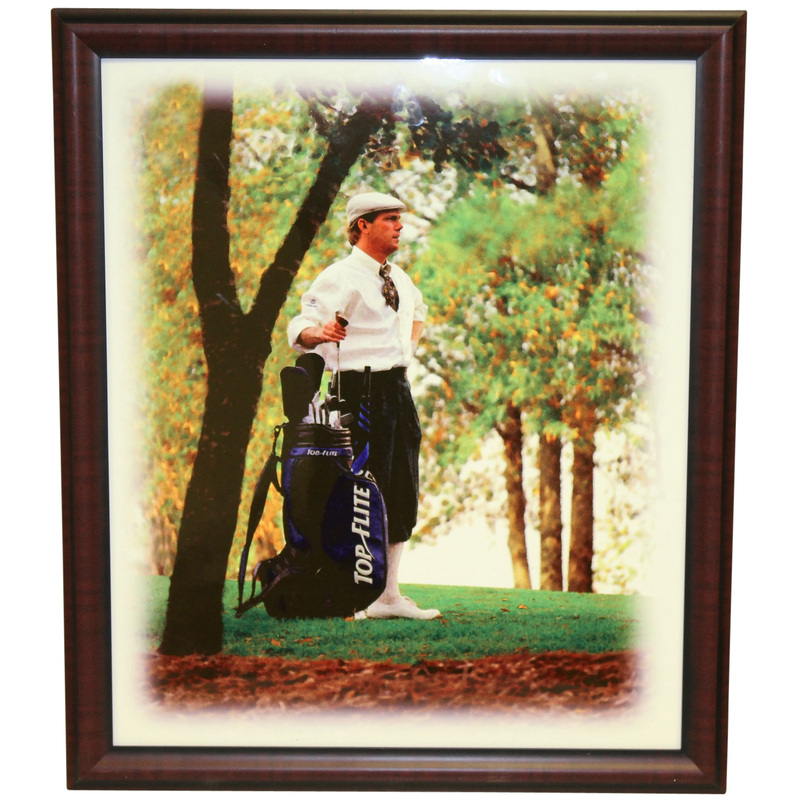 In 2001 he was inducted into the World Golf Hall of Fame. Offered here is a framed Top-Flite photograph of Stewart in great condition. 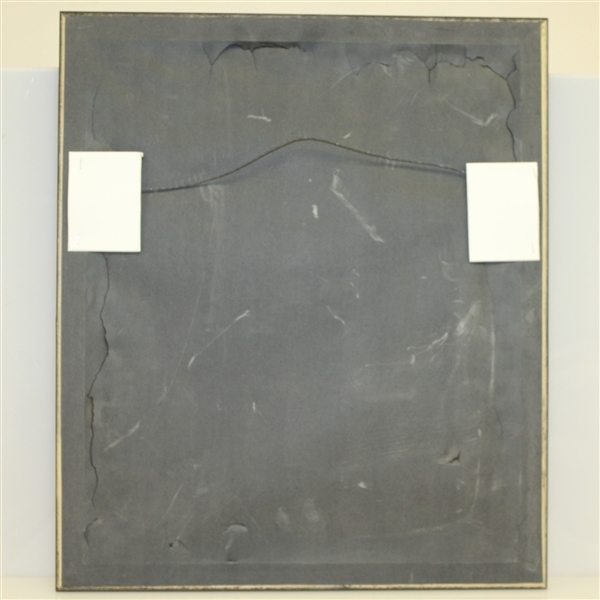 It measures 20 1/2" x 17 1/2".